Tesla at its annual shareholder meeting unveiled another teaser image of the upcoming Model Y crossover. The Tesla Model Y is slated to be unveiled to the world on March 15, 2019, by Tesla's CEO, Elon Musk and production will, commence in 2020. The Model Y is based on the same platform that also underpins the Model 3, Tesla's most affordable car, to date. 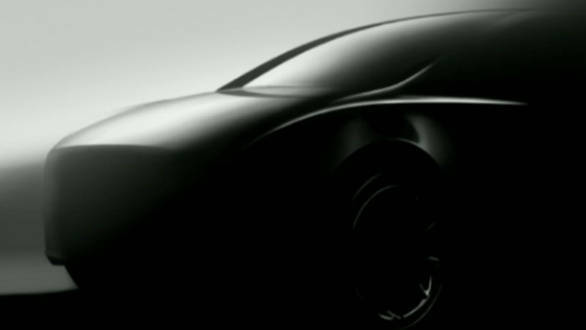 The Model Y, however, will feature sleeker styling, pronounced wheel arches and prominent shoulder line that seems to be running all the way to the tail end of the electric crossover. Elon Musk had stated before that Model Y will feature similar 'Falcon Wing' doors that are a signature feature on the Tesla Model X. The Model Y was initially supposed to go into production in 2019, however, production delays on the Model 3 line, in turn, has delayed the production of the Model Y. There are rumours that Elon Musk is planning on opening a production facility in China, its first outside the US to meet the potential demand for the Model Y as well future Teslas. Besides the Model Y, Tesla is also working on developing a new compact car that will go on sale within the next five years. Tesla's electric semi-truck will also undergo a few modifications to meet regulations in the US as well as other countries. The second generation Roadster, an already fast car boasting a 0-100kmph time of 1.9s, will be available in an even faster performance version.